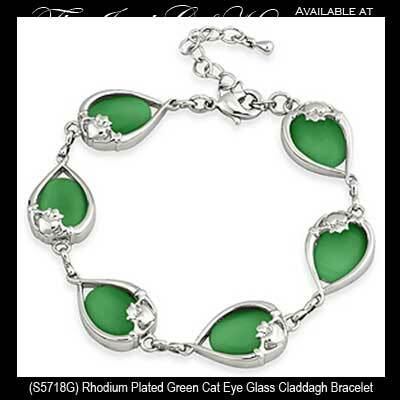 This Claddagh bracelet features links that are enhanced with green cat eye glass. 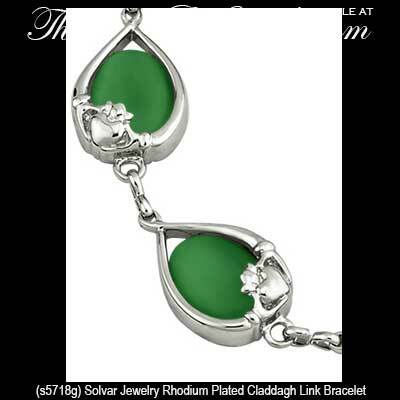 This Claddagh bracelet, like all the Irish made jewelry at The Irish Gift House, is nickel free and hypoallergenic. This gold plated Claddagh bracelet features six 1/2" wide links that are accented with green cat eye glass and measures 7" long with a 2" extender chain and a lobster claw catch. 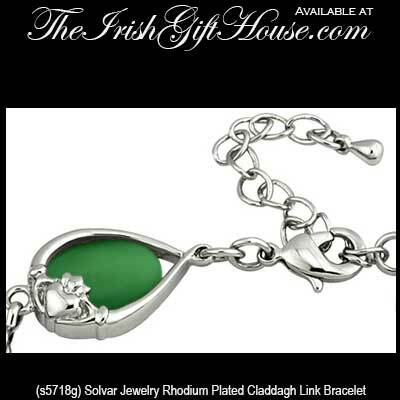 The Irish bracelet is crafted by Solvar Jewelry in Dublin, Ireland and it is gift boxed with the Galway Folklore and a Claddagh history card that is complements of The Irish Gift House.